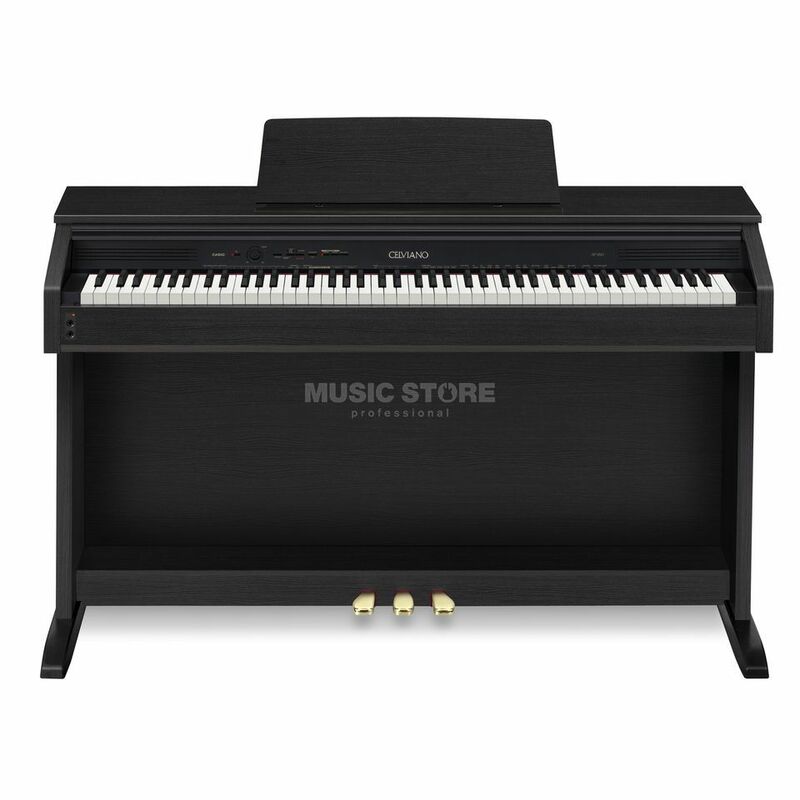 The Casio AP260 88-Note Digital Piano Black is a black digital piano, featuring an 88-note tri-sensor hammer action keyboard, with a 128 voice polyphony, and on-board digital effects, and a 8+8W amplifier. The AP-260 marks the entry point into multidimensional AiR-sound synthesis and at the same time into the authentic expressiveness and the natural sound quality of the CELVIANO digital piano. With 18 partly new tones and the new “Concert Play” function, music making becomes a real experience on this first-class cabinet pianoforte. The elegant design is emphasised by the “Ivory Touch” keyboard with its ebony and ivory finish. A must-have for the ambitious beginner.